Shell middens at Burleigh are testament to the abundant resources surrounding the headline and its long association with the Yugambeh people. It has been over 23 million years since the Mount Warning volcano was active, prior to that, it’s estimated that it was twice as high as it is now. 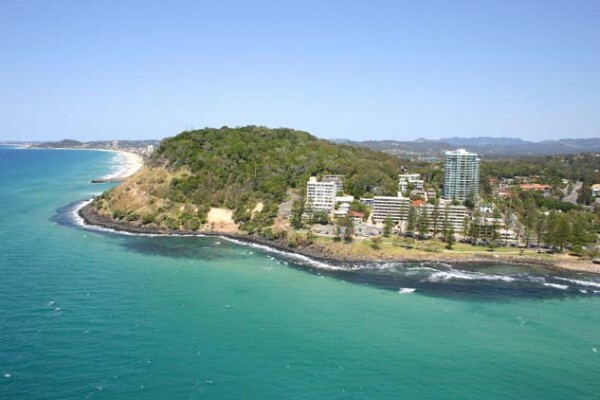 The lava flows from the massive shield volcano formed the headlands along the Gold Coast coastal strip including the rocky headland at Burleigh Heads known as Big Burleigh. Burleigh Headland has great significance to the Yugambeh people who refer to the headland as Jellugal. Shell middens at Burleigh are testament to the abundant resources surrounding the headline and its long association with the Yugambeh people. There are a number of versions of how the headland was named by European settlers. 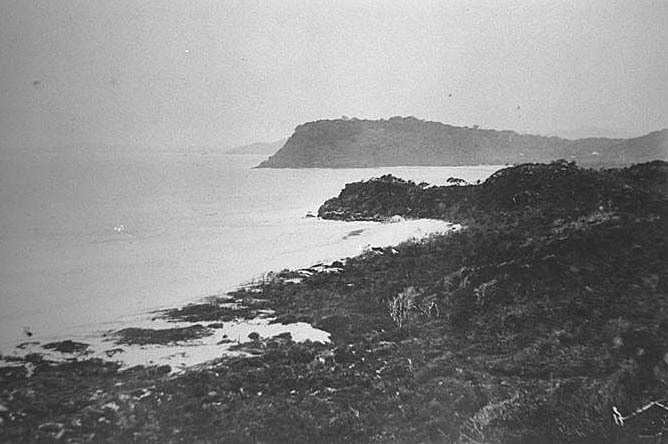 In 1840, the surveyor J. R. Warner referred to the headland as ‘Burly Head’. It is believed he choose the name as a reference to its large appearance but within a few decades the spelling had altered to Burleigh resulting in the belief that it was named after Lord Burleigh. 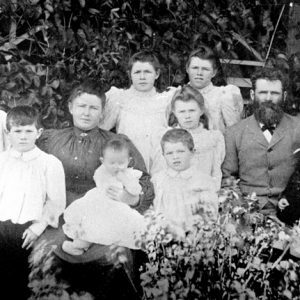 As early as November 1886 the 46 acres encompassing Big Burleigh was set aside as a Reserve for Public Purposes and subsequent attempts to subdivide the land for banana farming or residential use over the next sixty years failed. In 1947 the 27.6 hectare headland was gazetted as a National Park and is the only Gold Coast rocky headland that is still substantially in its natural state with a variety of habitats including lowland rainforest and pandanus groves. It was officially opened on 3 December 1950 with the name ‘Koala Park’. From 1949, Mr Alf Wintle was in charge of the headland and lived with his wife in a six room tent onsite. With a staff of six men, he was responsible for maintaining the existing walking paths, constructing the look outs and planting gum trees to feed the resident koalas to encourage them to stay in the park and not venture near the roads. To stress the importance of drivers paying attention to the local wildlife while travelling through the area, Alf hung a dead koala on a ‘Koalas Cross Here’ sign by the road. 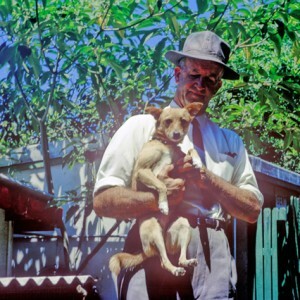 Spending twenty years caring for the headland, he encouraged birdlife and other animals to remain in the park by building rock pools with fresh water and planting white beech, red cedar, eucalyptus, blood wood, iron bark, blue gum and red bean trees. By 1990 it was estimated that between 250,000 to 500,000 people had visited the headland each year. In November 1986 the reserve celebrated its 100 year anniversary in the presence of representatives from the Yugambeh people, local residents and visitors. Best, Ysola and Barlow, Alex. Kombumerri: Saltwater People, Port Melbourne: Reed, 1997. South Coast Bulletin, (Southport, Qld.) 13 Dec 1950, pp. 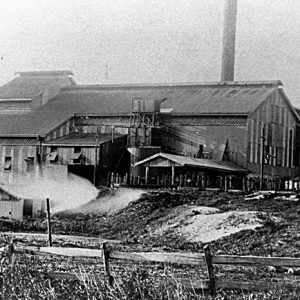 30 – 31. Gold Coast Bulletin, 29 Oct 1987, (Southport, Qld.) p. 26. “Quinn seeks priority for Burleigh park”, Gold Coast Bulletin, (Southport, Qld.) 6 Jul 1991, p. 20. “Burleigh Reserve celebrates 100 years with style”, Gold Coast Bulletin, (Southport, Qld.) 22 Nov 1997. “Wildlife veteran: Centenarian recalls a different Burleigh”, Gold Coast Bulletin, (Southport, Qld.) 20-21 Dec 2003, p. 13. Willmott, W., Malcolm, D., O’Brien, L., Manders, J. 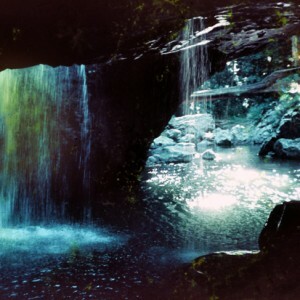 Rocks and landscapes of the Gold Coast hinterland. 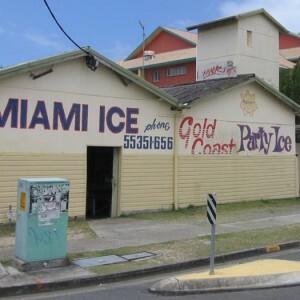 Brisbane: Geological Society of Australia, Queensland Division, 2010. 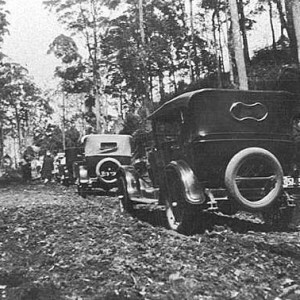 Queensland State Government, Department of National Parks, Sport and Racing http://www.nprsr.qld.gov.au/parks/burleigh-head/culture.html Accessed 4 Jan 2016.